A wedding ceremony usually lasts about 13 minutes. It’s short. It’s sweet. It’s over in no time at all. 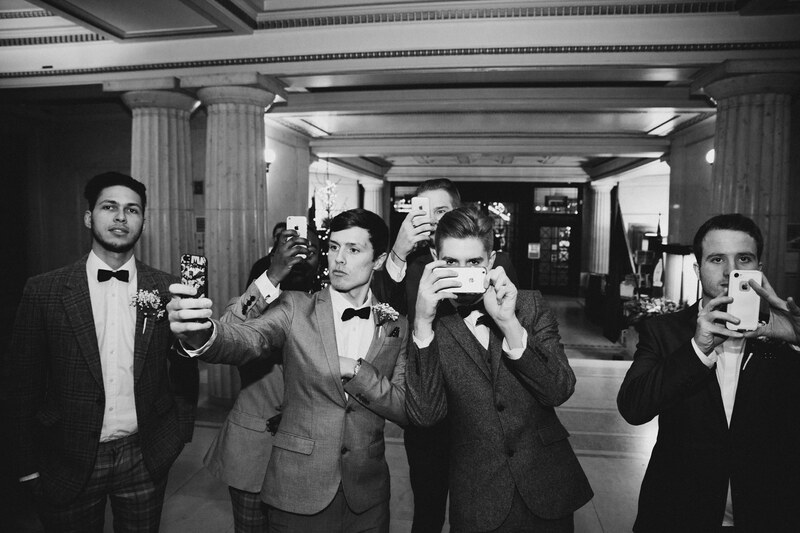 During those few precious minutes do you want your friends and family to have their attention on the actually ceremony or do you want them to have their attention on taking the perfect photo on their cameras or iPhones? Do you mind if they’re on facebook? You may have paid a photographer a lot of money to get some awesome pictures of your wedding ceremony. So, here’s the question – are you happy at the thought of paying your photographer a lot of money to take pictures of your guests taking pictures of you? Your photographs will probably look a whole lot different if you can actually see their faces. Look, you may not mind at all, but you may. So ask yourself this – do you mind whether your mates post a range of really bad to pretty good pictures of your wedding ceremony on Facebook during or soon after your ceremony? Some couples don’t care. Others prefer to have only their very best pictures posted up on Facebook (those super smart, deliciously sweet pictures which their very-professional and very-well-paid photographer took) and they want to be the ones to do that. Up to you. Some couples decide that they don’t mind all their mates posting pictures on social media, but ask that they only do it a few days after the ceremony or when they get back from their honeymoon. That way they get to be the first ones to post the pics of their choice. 1. Inform your guests way before your ceremony that this is what you want. You could include a line about it in your invitations, put a chalk-board notice at the entrance to your ceremony. Let them know in advance. 2. 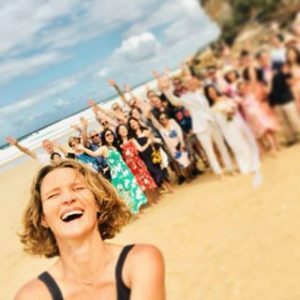 Get your celebrant to remind everyone before the ceremony begins to turn off their phones and put their cameras down. 3. Don’t be attached to the outcome. You might talk to everyone, write to everyone, include it on the invites, put a huge notice up and get your celebrant to sing a song about it, but still you might have a few people who absolutely cannot resist the urge to take pictures. In this situation I’d say, let-it-go. You’re there to enjoy your day. Don’t let anyone take away your smile.